I have to say that as I read Carol's five word answers, I was sympathetic. She describes herself as introverted, optimistic, procrastinator, patient, and insecure. She cheated on the five words to describe her writing by including seven words. Since I am flexible, I added hyphens and brought her back to five words: contemporary, psychological-crime, women’s fiction, character-driven. So shoot me. At my desk, looking out unto my back yard. Everything is handy and it’s quiet. For more on my writing venue have a look at my writers’ desks series. That it’s poignant and compelling. I get into it from the opening sentence and keep reading until the last sentence. Actually, that could be said of any genre of writing. Mornings for sure. I drink two cups of vanilla roasted cappuccino decaf. That signals my work day has begun. I read about four or five that I actually finish. I’m glad you put great in parenthesis. There’s genre great and then literary great. For me, a great book moves and elevates me. It’s more than just entertainment, although I do like to be entertained. Literary great is a notch above the pure entertainment books. It has substance. I would call Julian Barnes’ The Sense of an Ending and A.D. Miller’s Snow Drops literary great while Wendy James’ The Lost Girls crime genre great. I do tend to read in my genre while I’m writing. It gets me in the mood. Depending on what I’m working on I’ll read crime or women’s fiction. My blogging community also provides me with inspiring creative input. My women’s fiction novel Getting to Mr. 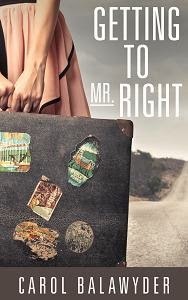 Right explores the absent father’s effect on a daughter’s adult relationships with men. My crime fiction is a lot about the “why” of criminal behavior. Though there is always a murder, I also examine other crimes, such as child abuse and negligence. To keep believing in myself. Right now I have a lot on my plate: my blog, editing two crime novels, marketing the novels I’ve already published and working on new ideas. Also, I wonder if I’m wasting my time. I have to keep pushing that question out of my mind and believe more in the process. What else would I be doing? Lying on a beach and reading a novel wishing I’d have written it or, if I don’t like it, saying I could do better than that. I used to teach criminology and so the idea of setting my novel in a college campus felt comfortable. Unlike my first crime novel, which is more of the whydunit, this one leans on the whodunit genre, simply for the challenge. Women writers of noir fiction. I have a series on the femme fatal on my blog written by these amazing writers. All of these authors inspired me. I am also inspired by reading plays. What comes to mind is Tennessee Williams and Eugene O’Neill. I like to study the dialogue and the characters in them. Getting to Mr. Right: Campbell’s research into the father/daughter dynamic and how it affects a woman’s personal choices proves that Prince Charming is nothing but a myth. In a few months, she will receive international recognition for her work. 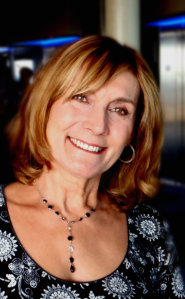 As part of her study, Campbell gives workshops to help women still seeking Mr. Right. Her latest group is made up of three women: Missi Morgan, who can’t seem to let go of a philandering spouse; Suzy Paradise, a self-proclaimed queen of online dating; and Felicity Starr, whose life and career are dictated by a controlling father. In the midst of her study, a charming and personable man enters Campbell’s life, putting her theories in shambles. Not only does she now question the validity of her research, but she must choose between her career and having her own Prince Charming. This personal dilemma makes it difficult for Campbell to give these women advice, as she encourages them to find their own paths to happiness and helps them set themselves free. Carol - Thanks for sharing. We're both morning people. By late afternoon I am toasted for the day, although I can get a second wind in the evening. Another great post in this series. Thanks Carol for sharing your story. Thank you, Jim, for this wonderful opportunity. I really like how it turned out. It's very cool! Thanks Jim, I now am aware of another opportunity for a great read in themes I like. Carol, I agree that I would rather be a mountain writer than a beach reader. Best wishes. Great interview with Carol and so interesting to find out even more about her! Yes Carol keep pushing that question that you're wasting your time out of your head - it's so not true. You're a great writer!